Da geht einem Wein-Experten das Herz auf - ein perfekt eingerichteter Schulungs- und Verkostungsraum. 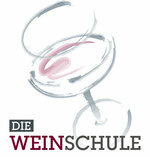 Ein Wermutstropfen: Die diensthabende Sommelière und Seminarleiterin erzählte teilweise ganz schönen Unfug! This post offers clear idea in support of the new visitors of blogging, that truly how to do running a blog. Wow, this paragraph is nice, my sister is analyzing these kinds of things, so I am going to convey her. Howdy, i read your blog occasionally and i own a similar one and i was just curious if you get a lot of spam comments? If so how do you protect against it, any plugin or anything you can advise? I get so much lately it's driving me mad so any assistance is very much appreciated. After I originally left a comment I seem to have clicked the -Notify me when new comments are added- checkbox and from now on whenever a comment is added I get 4 emails with the same comment. There has to be a means you can remove me from that service? Appreciate it! Excellent site you've got here.. It's difficult to find high-quality writing like yours nowadays. I honestly appreciate people like you! Take care!! Having read this I thought it was rather informative. I appreciate you taking the time and effort to put this article together. I once again find myself spending way too much time both reading and leaving comments. But so what, it was still worth it! Article writing is also a fun, if you know then you can write if not it is difficult to write. Just wish to say your article is as amazing. The clearness in your post is just great and i could assume you are an expert on this subject. Well with your permission let me to grab your feed to keep up to date with forthcoming post. Thanks a million and please carry on the rewarding work. I read this paragraph completely on the topic of the difference of latest and previous technologies, it's awesome article. Howdy! I know this is somewhat off-topic however I had to ask. Does running a well-established website such as yours take a lot of work? I'm completely new to operating a blog however I do write in my journal every day. I'd like to start a blog so I will be able to share my personal experience and views online. Please let me know if you have any kind of suggestions or tips for brand new aspiring blog owners. Appreciate it! We stumbled over here different web page and thought I should check things out. I like what I see so now i am following you. Look forward to looking into your web page for a second time.